What is a TMJ and a TMD? TMJ stands for ‘temporomandibular joints’. Your temporomandibular joints connect your jawbone to your skull. They are the joints that allow you to move your mouth and are a necessary component to your overall oral health. Sometimes when these joints become overused, they can cause a temporomandibular disorder or TMD. TMDs are very painful and hard to live with. At Dental Care Today in Fishers (just east of Carmel), we can help our patients who are suffering from a TMD and alleviate their symptoms. Dr. Behner has the experience and the technology to treat TMDs at his Indianapolis office. We offer comprehensive services and relief to TMD patients and can help patients prevent more serious TMD issues from occurring with our TMD preventative care. We use the NTI-tss chairside splint to reduce grinding and TMJ use. Sometimes TMDs can be caused when a patient grinds their teeth at night. The NTI-tss chairside splint is a special kind of mouthguard that will protect your teeth from damage and help treat or prevent a TMD. To find out more about our TMD treatment, or if you have any questions about your TMJ, you can contact us at our office. 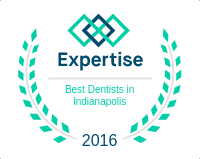 We would be happy to schedule an appointment for you or arrange for a consultation with Dr. Dale Behner if you are in the Indianapolis area, including Carmel and Fishers!